Where is Sydney's Best Place to Walk Your Dog? Any dog owners will know the excitement their pets get when the word W-A-L-K is mentioned, so we want to know the best places to take them for one. It could be a long path with great views for you, and lots of interaction for them, or you might have found a great dog park or beach where they can run around leash-free. Unfortunately not everywhere is dog friendly, but we want to know the places that are. Sirius Cove in Mosman is a great place to take your dog during the week. From Monday to Friday this beach goes to the dogs, they have run of the beach all day on week days. On weekends and public holidays there is restricted use of 4pm to 9pm. This can be a great place for them to socialise, and they'll love being able to run into the waves. This could soon become a favourite spot with your pooch. There are also off-leash parks all over Sydney. These provide a space where you can bring along your dog and let them run free. In the CBD your dog can enjoy its time at Cook & Phillip Park, or other places include Sydney Park in St. Peters or Harmony Park in Surry Hills. 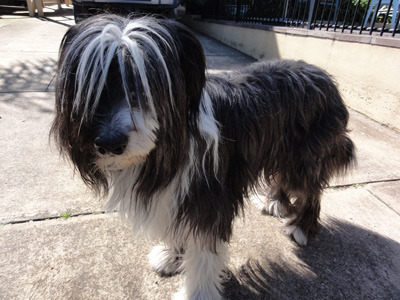 You can find a full list of off-leash dog areas in Sydney on the City of Sydney website. You might know some excellent walking paths that your dogs enjoy. Dogs will love exploring the area as they go on long walks, from new smells to new friends, everything is an adventure. The Glebe Foreshore Walk can be a nice place to head with your dog, where you'll enjoy the sites, and they'll enjoy the walk. You might know of some other great walks, or even ones that have dog-leash free areas along their paths. It can be important to have some great walking areas up your sleeve to keep your four-legged friend entertained. Many off leash areas will also make sure that even if you forget the necessities you're still taken care of. 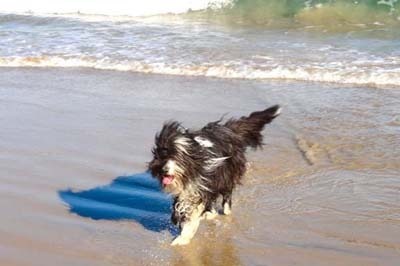 Beaches and parks will often have poo bins or bags provided, and you'll sometimes also be able to find a water bowl to make sure your dog stays hydrated. Where do you like to walk with your dog? We want to know all the best places to head to with your four-legged friend, and we need your opinion on the matter. From beaches, to parks, to paths, where is the best place to walk your dog in Sydney? Lake Parramatta Park - beautiful views, great trails and fun for the whole family and not just the dog! The dog beach near newport arms! olympic pack and surrounding area are the great place to walk the dog. It has many parks, walking track , hill and lakes, relaxing and quiet place to get your dog a exciting walk. Vale of Ah Reserve in Milperra- has a paddling pool and agility course inside the fenced off dog run! Or Greenhills Beach, near Wanda Beach- huge dog area! Greenhills to Boat Harbour (Wanda Beach) is off leash for dogs before 10am and after 4pm every day.